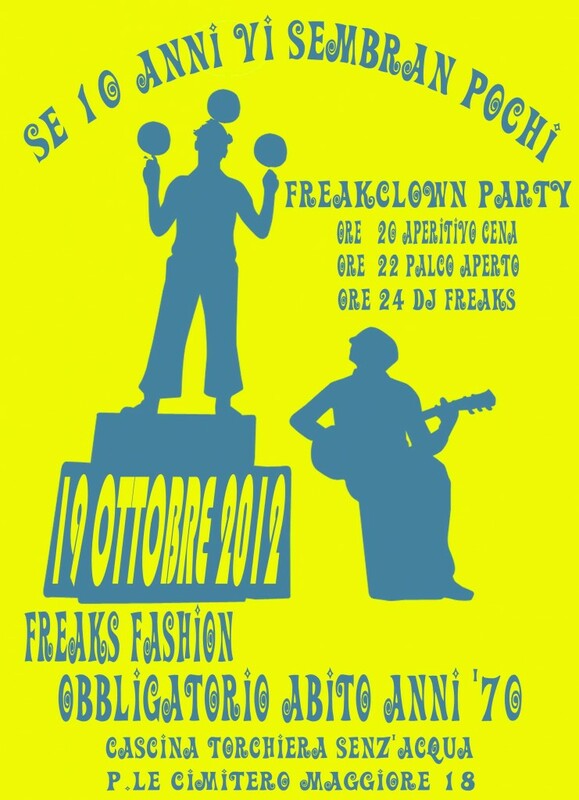 i FreakClown festeggiano 10 anni. Diffondete, divertitevi. Preparate i costumi. This entry was posted in iniziative, teatro e saltimbanchi and tagged '70s, 10 anni, cena, clown, freakclown, saltimbanchi. Bookmark the permalink.